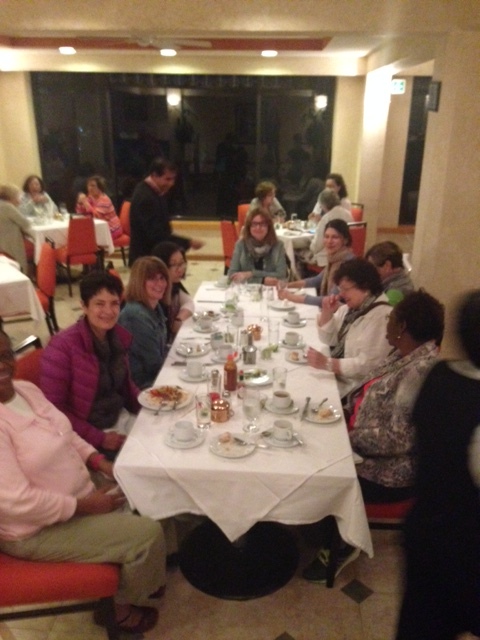 The Women's Travel Group – Too Nervous to Travel? Home gluten free travel Too Nervous to Travel? Can travel be fun for Nervous Nellies? Yes for some. No for others. Lets face it, some women just do better in their environment and home. Others yearn to travel but are scared of flying? Being a solo but in a group? Not being understood? Concerned about jet lag? About unusual food? and Yes about toilet access. Food and toilets are specifically women’s concerns. Food worries us since we are diet conscious and these days have more allergies: gluten, sugar, seeds,eggs, peanuts… Asking for a specific diet is as easy as forewarning our staff at The Women’s Travel Group. Google translation is your best bud here: type into Google translation what you need to tell a waiter in his/her language. Voila you have it in print. Still worried, show your information to our guides; they are always there to help. Toilets are the skeleton in many women’s closets. No pun intended. Women worry about frequency of need? Cleanliness? Ability to squat (if in what Parveen, our wonderful Indian guide calls “an unhappy toilet”). The Women’s Travel Group’s endeavor is to use only acceptable facilities. If someone is in need beyond scheduled stops, we find a place for her-we are an understanding group. If someone is ill and cannot travel that day, we will reroute her, so she can stay in the hotel, with hotel doctor available and telephone contact with us. We will privately transfer her to the group when ready. Our travel insurance covers expenses involved and our staff is made aware both locally and in the US. Toss away your tremors and give travel a try with The Women’s Travel Group. One spot left on S. France and several on Italy, the Ultimate Italy trip end April….